A Halloween event not to be missed! F.W. 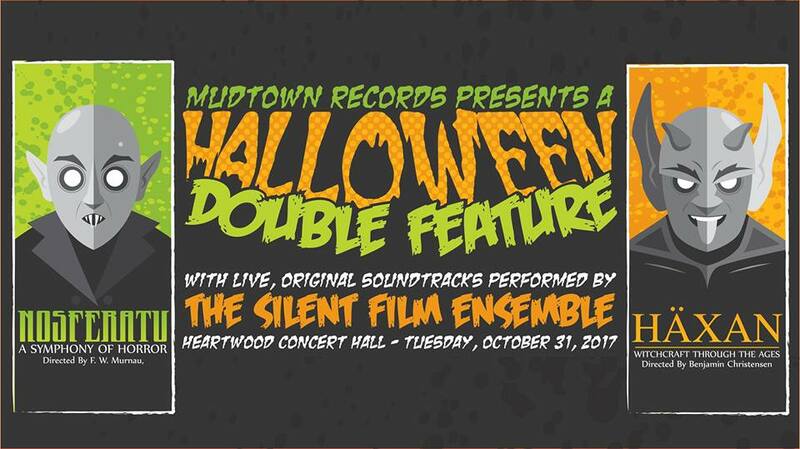 Murnau’s classic silent depiction of the vampire myth with a live, original soundtrack by the Silent Film Ensemble. PLUS, Benjamin Christensen’s infamous 1922 cult film about the occult throughout history: Haxan – Witchcraft Through the Ages with a SECOND live, original soundtrack by the Silent Film Ensemble.